Computer Service Organization, Inc. provides it's clients with the responsive, on-site support that end-users demand. 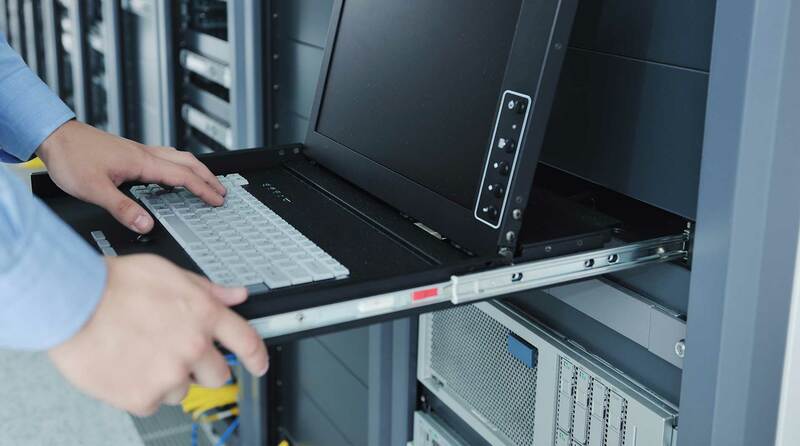 This includes problem determination and resolution for standalone and LAN based workstations, host connectivity, hardware and software installations, and other supplementary services deemed necessary by your organization. CSO will continually strive to refine the quality of information systems in use by the client. As our specialists encounter convoluted or unproductive procedures, they work together with our clients and their internal support groups to reengineer and implement more efficient alternatives. Through a combination of hardware, software, networking and programming specialists, CSO will provide its clientele with a highly responsive and efficient support infrastructure. With CSO supporting and performing LAN administration and maintenance for your office, your staff and I/T specialists will be freed from day to day support issues, allowing them to concentrate their efforts on higher level mission critical projects and applications. CSO's support framework also protects it's clientele with an umbrella of available backup skill in the event of temporary personnel shortage. As a result of our unique methods of cross training and the composition of our support staff, CSO can quickly shift its resources across multiple areas at any client. From initial site inspection to implementation, we do it all. Our expert system designers will work with you to map out your system needs. Small projects are not a problem for us. We can handle all your needs. 24 hr. round the clock emergency support available to your company. Our technical support is unrivaled. When you need help, we're there for you. Not happy with generic software choices? Our programmers can customize it for you. CSO can aid your organization by providing project management services, or by instructing your current technical staff. Through our expertise, CSO will enable your organization to better organize and plan projects, as well as manage (not just react to) crisis situations in a timely and effective manner. CSO will design your computer system's infrastructure to custom specifications. This includes everything from LAN installations and host connectivity mapping out cabling. Disaster recovery procedures that include automated backup and tape library management can be developed to increase productivity and minimize down time. Whether creating a local area network with the latest emerging technology, or integrating new functionality and capacity into your existing LAN, CSO will provide the most effective method of system optimization and upgrade strategies. CSO will assist your organization with limited scope projects such as mass workstation updates, altering network topologies, office moves, or other modifications your system requires, thereby reducing internal support costs. CSO provides it's clients with "Round the Clock" network support and offers the fastest response time in the industry to critical system failures. CSO will never take your support problems "Under Consideration" or "Get back to you the following day." Providing 24 hour total LAN support, CSO works after hours as needed to make system modifications and perform upgrades so as to not cause down time during production hours. Proactive support prevents critical problems before they occur. Our response time is unmatched by our competitors. Being a highly responsive organization we strive to provide the highest level of end-user support. From phone support to on-site assistance, our team of professionals will have the right combination of skills to keep end users content. Our staff will aid the end-user with application support, workstation and network errors, printing problems and overall solutions to any PC/LAN based questions, in addition to prevention of and recovery from, hardware failure. CSO can custom-develop software for a wide range of requirements. Some examples include network management utilities, spreadsheets and backup/recovery tools. Our development staff can also assist your organization in the development of client server based end-user applications.